Off the coast of South Africa, a team of researchers was out studying shark populations when, apparently, a great white shark looked to a do a little studying of its own – breaching the waves and flying aboard the researchers&apos; boat. "It had been a bit quiet around the boat for a few minutes, and I heard a splash," she said. "And it&apos;s a splash that I recognized as usually a shark breaching out of the water. 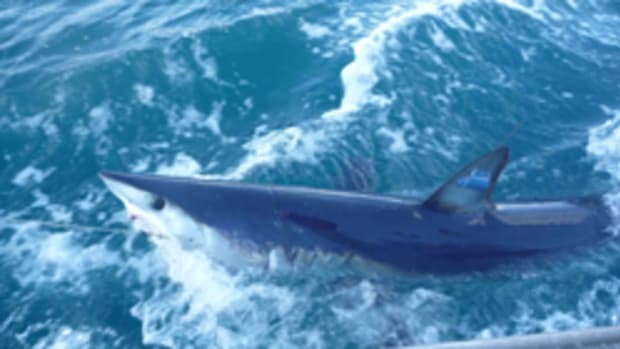 So I turned around to see it, only to see a live shark in mid-air above one of my interns,"
Oceans Research team leader Dorien Schroder told CBS News.